Bacon smells wonderful when it is cooking, but you do not want to continue to smell it days after it was cooked. 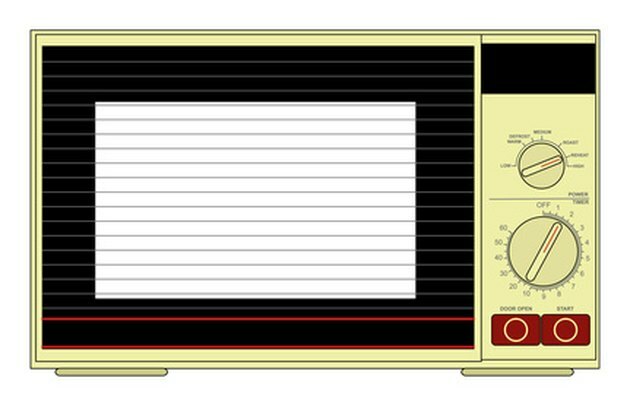 Unfortunately, your microwave is an odor magnet, sometimes retaining odors of foods cooked in it for long periods of time. Bacon is a particularly strong and difficult smell to get out of a microwave, but judicious use of citrus can do the trick. The best part about this solution is that it is all-natural and involves no harsh chemicals or scrubbing. Your microwave won't smell like bacon much longer. Clean the microwave of all visible splatters and spills. Mix the dish soap with warm water to create suds, and wipe everything down with your sponge. Place lemon pieces in a small microwave-safe container. Fill the container about 3/4 full with tap water. Make sure you can pick up and move the container comfortably, without spilling. Place the container of lemon and water in your microwave and close the door. Microwave on high for 3 minutes. Allow the container to sit in the microwave for 5 minutes more. Remove the container of lemon and water from the microwave and discard. Enjoy your fresh-smelling microwave. The lemon scent will dissipate in a short time, leaving only a nice, neutral-smelling microwave.